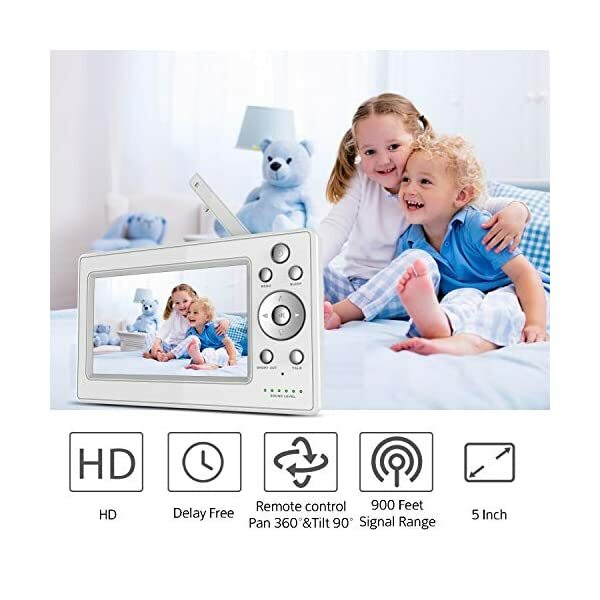 Revolutionary 720P Baby Monitor: Significant Better Video Quality Compare to similar product in the market. 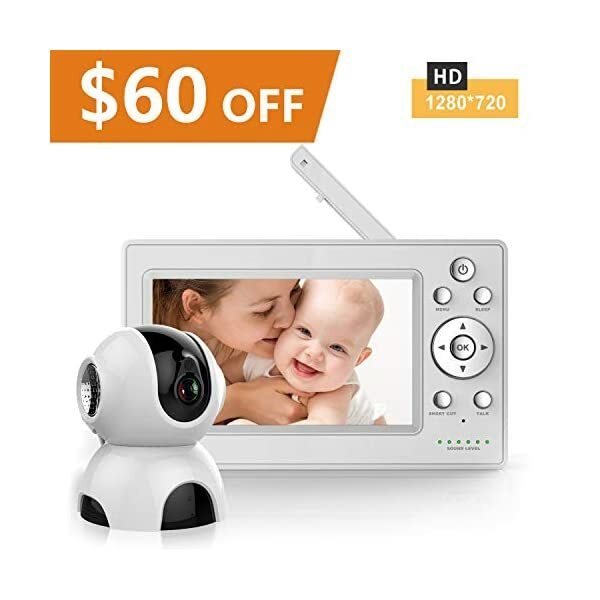 720P HD video (Resolution 1280*720) shown on the 5-inch large LCD gives you a very comfortable experience in looking at your lovely baby, say goodbye to low quality video (Normally in Resolution 320*240). Delay-Free Technology: No worry about delay of sound and picture. 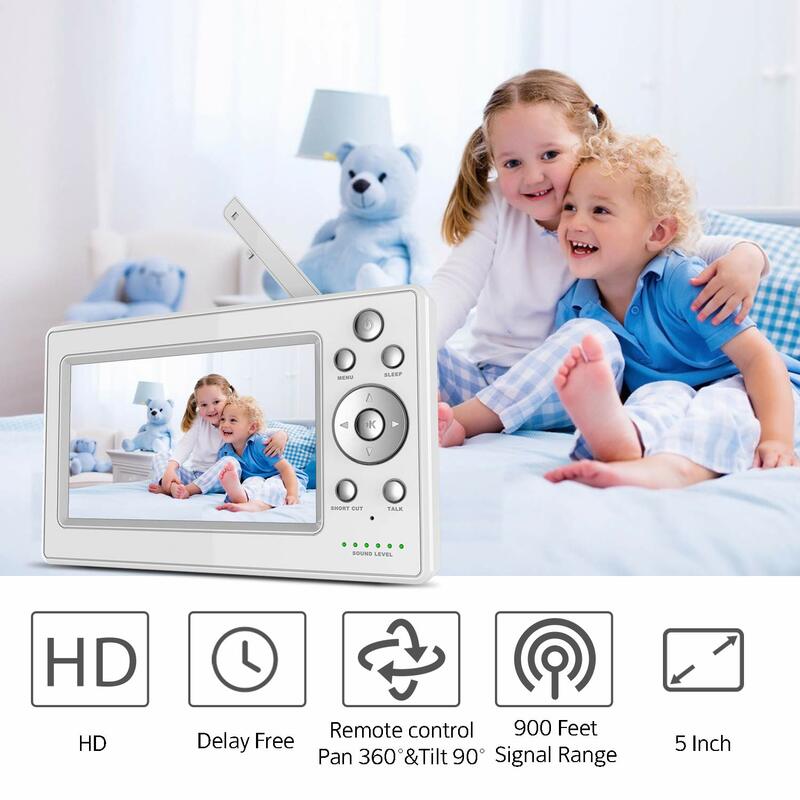 8203KF will transmit clear video and audio of baby room. Noise reduction makes the sound closer to the original, and can be better recognized by the baby. 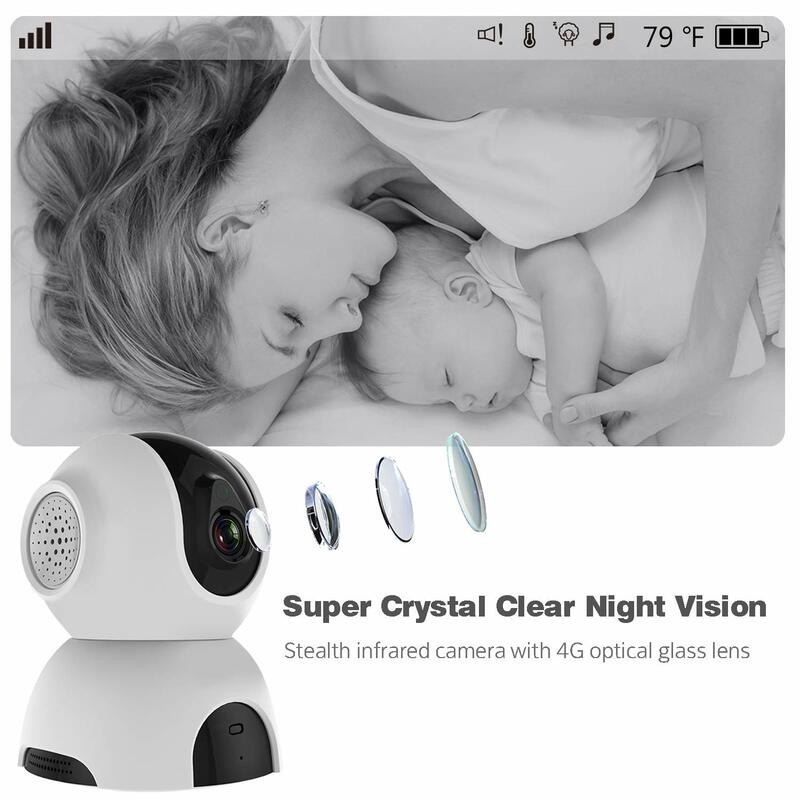 Stable and Reliable Signal: Enough signal range to remote control camera. The signal range reaches to 900feet (open space) and up to 200feet (indoor). 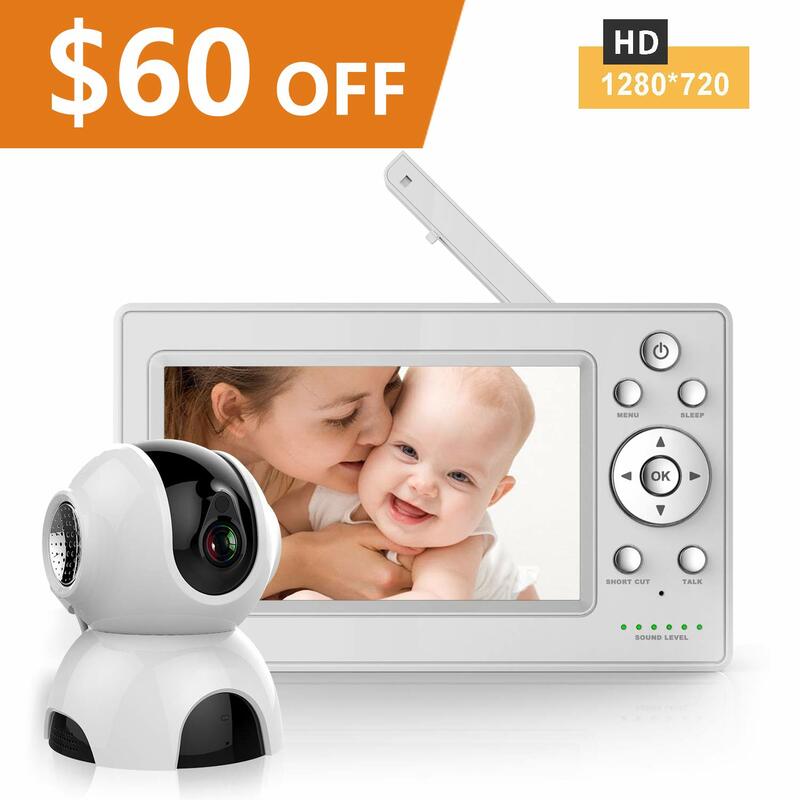 Remote pan 360˚ & tilt 90˚, get full coverage of your lovely baby. Play 5 lullabies remotely to sooth baby. Four Type Of Sound Alert: There are high sound alarms, over-range alarms, low battery alarms and abnormal temperature alarm. 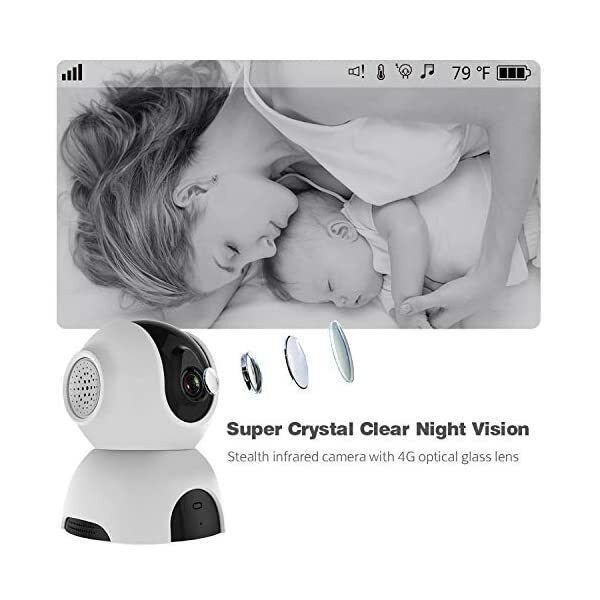 After the high sound alarm and sleep mode are turned on, when the sound of the baby room is louder than the default value, the parent unit will alarm and alert you with the sound indicator. Quality Assurance: Bable ensure that all products have passed tests to give a safe and worry-free experience. 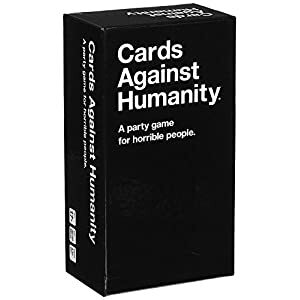 Bable support 90-day refund, 24-Month Warranty if you have any issues.